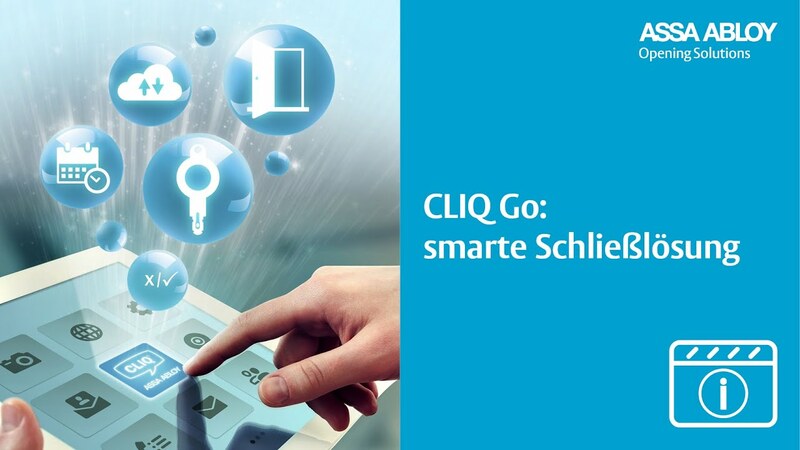 The CLIQ®- family of ASSA ABLOY Sicherheitstechnik GmbH receives a digital boost: The CLIQ® Go locking system can be programmed and controlled via an app. The purely electronic system was developed in order to meet the demands of modern companies on their access control. With the CLIQ® Go app, responsible persons manage their access authorisations quickly and efficiently. CLIQ® Go is the ideal security system for small and medium-sized companies, as well as for private users. With the CLIQ® Go app, users manage their locking system digitally via the cloud. ASSA ABLOY has developed this app in order to offer a time-saving digital solution to people who are responsible for locking systems. The app offers intuitive operation and the system can be managed from a mobile phone, tablet or PC. It only takes a few “taps” to check and change individual access entitlements. CLIQ® Go is a purely electronic locking system based on the precision mechanical components and microelectronic modules of the CLIQ® technology. The flexible and future-proof solution does not require complex installation or maintenance. Customers can manage the entire system in the Cloud with the user-friendly CLIQ® Go app. Companies can program and change access authorisations as necessary and block lost keys immediately. The cylinders can be installed quickly and easily, no wiring is required in the door. The conventional cylinders are simply replaced with the electronic CLIQ® Go cylinders. The power supply for the electronic cylinders and data transmission are provided via the standard battery in the key on contact. An additional advantage: The robust cylinders and key are weatherproof and are therefore suitable for indoor and outdoor installation. In addition to doors, they can also be used on cabinets and padlocks. ASSA ABLOY Sicherheitstechnik GmbH is the professional partner worldwide in mechanical and electromechanical security solutions for safety, security and convenience in buildings. The company develops, produces and markets high-quality products and multi-purpose systems under the established IKON and effeff brand names for the private, commercial and public sectors.